Boathy's Blog - What could be finer? Boathy’s Blog – What could be finer? Numb fingers, chapped skin, three layers of clothing, two hats, solid ground, temporary greens and playing off a small square of astro turf mat. 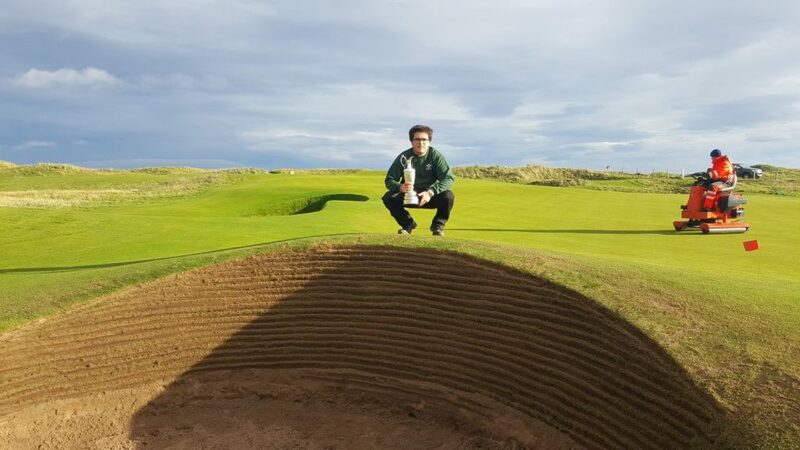 Welcome to winter golf at not only Carnoustie Golf Links, but golf courses up and down the country, and for us greenkeepers, a welcome to our Winter Improvements Programme. With The Open coming up it was always, as times before, going to be a busy winter. And just a couple of weeks into the winter golfing season, we have not been left disappointed. 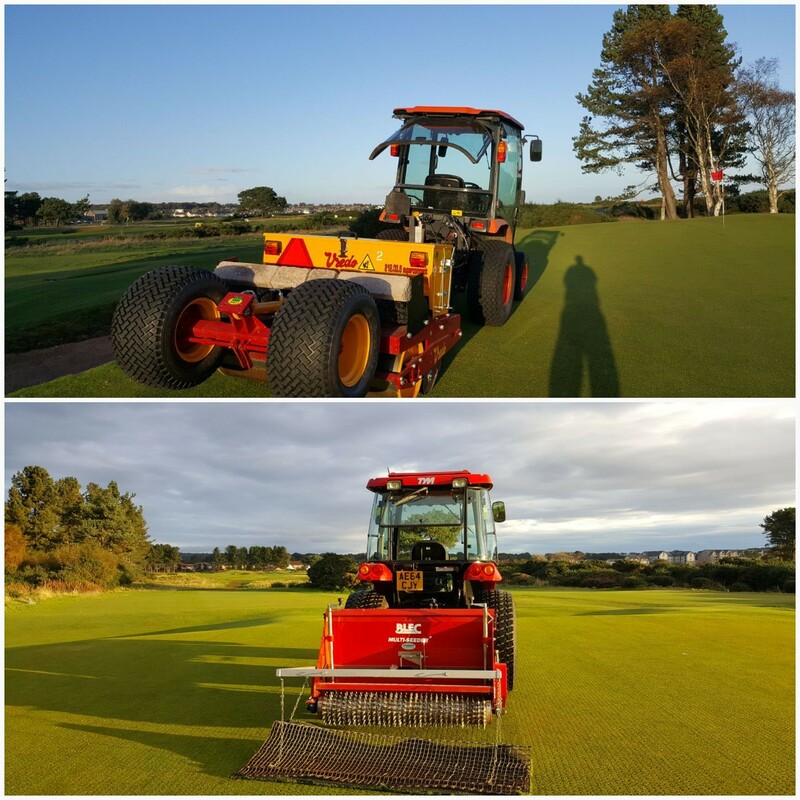 It’s always a joy to have a high-profile tournament being played over the Links with the eyes of the world viewing our course in great condition but once the Alfred Dunhill Links Championship had been and gone, it gave us the chance to get on with a final overseeding on the greens for the year. Luckily for us temperatures have been playing ball of late and we are starting to see the germination of young fescue shoots coming through. 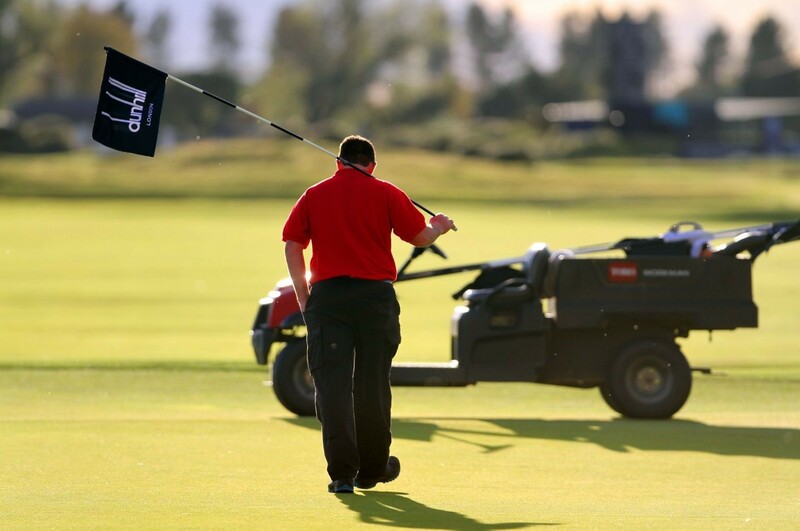 However, it hasn’t just been on the golf course where work has been getting done, and it’s not just the greenkeepers who have been hard at work. 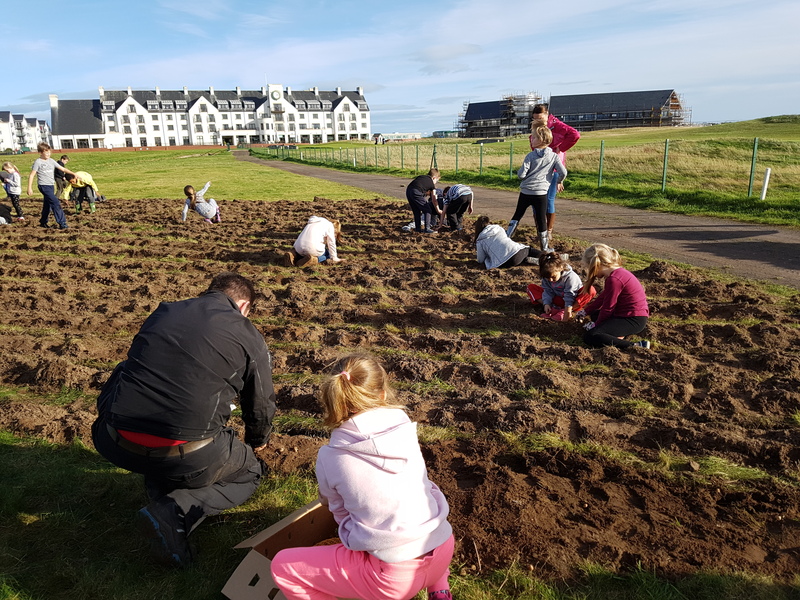 For the second successive year we have teamed up with the Rotary Club of Carnoustie in their fight to end polio by planting 10,000 crocus bulbs opposite the 18th fairway, by the Barry Burn. But I wasn’t going to be planting all these bulbs on my own, there was help on hand in the form of pupils from Burnside and Woodlands Primary School. Fingers crossed we see some nice colours appear next year! 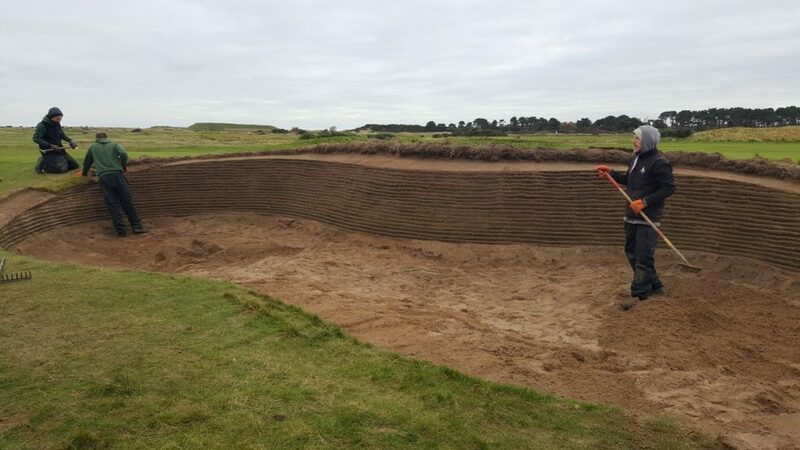 That brings us to where we are now in the early part of November and our main job this winter is bunker rebuilding with no fewer than 73 bunkers to rebuild ahead of next year so it’s safe to say that it is all hands-on deck. At the time of writing, we’ve rebuilt 33 bunkers, only another 40 to go. But it’s been great going by all the team. And it’s not just been our own greenkeepers on hand to help us out, we have been lucky enough to have been given a hand by students from Elmwood College. The great thing is that working with the students is a two-way relationship – not only is it a great help for us with the work we’re doing but it is a way of teaching them how to build revetted bunkers. It’s not just local students either, there is an array of nationalities with some coming from countries such as Spain, Estonia, Ireland and Sweden. Ahead of the main event next year, it’s not just bunkers that need worked on, gorse is another element. Aside from the rebuilding of bunkers, there has been a vast amount of gorse removal taking place too. Some areas are being cleared for grandstands, whilst other areas are being cleared for movement of spectators and for the protection of heather. These areas might not look like much just now but once they’ve been turfed and allowed time, they’ll be in great shape for next year. That’s all from me for now, those bunkers won’t build themselves. Boathy’s Blog – It’s Back!